Although gas boilers could be the more traditional option, that doesn’t stop the benefits of Biomass being outweighed in this instance. There are clear savings to be made as well as potential earnings on top of that. Renewable energy products can always be seen to be positively influencing opinions and helping raise awareness for a more sustainable future. You may already be aware of the Government’s Renewable Heat Incentive Scheme where people can generate a source of income with their own renewable energy sources. It’s a better time than ever to look into replacing your existing system with a Biomass Boiler. The way that Biomass boilers work is through burning wood in one of two forms: pellets or chips. This provides the heat to your property and works in conjunction with your existing heating system to cater to your hot water needs. Wood fueled biomass boilers are extremely cost efficient and can save you up to £600 on your fuel bill a year compared to standard electric heating systems. Do I qualify for RHI earnings? Along with many other renewable energy products, Biomass Boilers qualify for the Government’s Renewable Heat Incentive scheme, where you are supported in your decision to install renewables and in turn you will earn money over a 7 year period. The scheme means that you can install your renewable energy solution and pay for it with the money you earn from RHI and still reduce your annual heating costs too. Biomass Boilers are certainly considered a long-term investment, especially when compared with non-renewables. For example - installation costs in an average size property is around £9,000. An average house may have an annual heating output of 25,000kWh, so with the RHI payments would attract earnings of approximately £1,500 per year. This is paid for 7 years so your installation costs are covered easily. Normally wood pellets are approximately 4.2p p/kWH, which is similar in costs to gas, however it is cheaper than oil at 6p/kWh. Gas prices continue to rise annually so in future it is a safe bet to assume that pellets or chips will become cheaper in comparison. Another factor to consider is that biomass obviously isn’t negatively affected by increasing importation charges like it is with gas or oil. The pellets themselves typically costs around £150 - £200 per tonne and they are made up from waste wood materials. For context, the average property will require 11 tonnes of wood pellets per year. Another possible incentive is that if you are able to source your own wood supplies, you could then heat your home for free! Which kind of Biomass Boiler will I need? These are generally wood stove models, working in conjunction with back boilers. 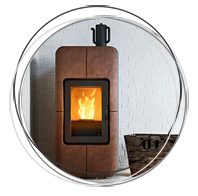 They are ideal as a link in system to more traditional Gas and Oil boilers and give you a secondary source of heating. With logs being readily available, you have guaranteed heat when you want with low fuel costs. When installing domestic biomass boilers, you will often have to replace your current water cylinder to a more modern Thermal Store to allow full integration..
A boiler only model is a great all year round solution. Often located in utility rooms, it has a number of add-on options to make the system more automated. These can include large add-on fuel storage to self-cleaning models, it is a complete, standalone boiler system that one has little interaction with. Fit and forget, with minimal maintenance required.. 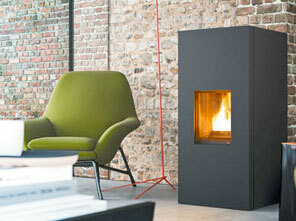 Pellet Stove Boilers tend to have a more aesthetic appeal to them. They can be situated anywhere where you might place a traditional stove, but with the added benefit of feeding your complete heating and hot water system also. The mechanics are much the same as the Pellet boilers but with an element of heat to the room (typically 10% of total KW output). This makes for a very cosy heating solution in the winter months, not only feeding all your radiators and hot water needs, but having a working stove in the living space. 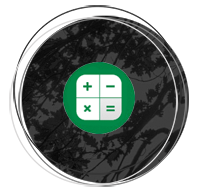 Green Square offers a complete range of renewable products to provide a greener alternative and reduce your annual bills. There’s never been a better time to get a quote for your renewable energy solution, with so many options available you are sure to find the best suited to you and your property with Green Square.